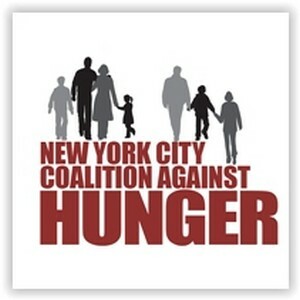 The New York City Coalition Against Hunger (NYCCAH) represents the more than 1,200 nonprofit soup kitchens and food pantries in New York City and the more than 1.4 million low-income New Yorkers who live in homes that can’t afford enough food. The Coalition works to meet the immediate food needs of low-income New Yorkers and enact innovative solutions to help them move “beyond the soup kitchen” to self-sufficiency. We are committed to assisting and empowering the emergency food programs that work on the front lines of fighting hunger through the Emergency Food Action Center, Interfaith Voices Against Hunger, our Farm Fresh Initiative, our Technology Project, our Volunteer Matching Center, our Americorps State and VISTA service programs, and our Benefits Outreach initative. Free food and assistance is available in New York City, no matter what your situation – you can get nutritious food! The Coalition Against Hunger has compiled comprehensive Guides – referred to as “street sheets” – to free food access in thirteen different areas within the five boroughs.